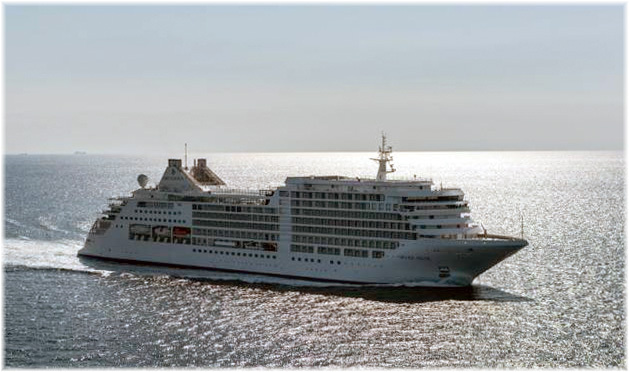 Last week, after some delay, Silversea finally announced that it would build a sister ship to the Silver Muse. This followed an announcement ages ago by Seabourn that it would build two ships of similar size for the same upmarket range. Elsewhere, Vard has secured its eighth order for an expedion ship, this time from Coral Expeditions of Australia. And a name from the past, APL, has re-entered the passenger trades after a very long absence, by accepting passengers on some of its container ships. In the early days of ultra-luxury all-inclusive ships there were the 4,250-ton 112-berth Sea Goddesses, in 1985-85, and then the first 10,000-ton 212-berth Seabourn trio, in 1989-92. Later followed the 17,000-ton 296-berth Silversea ships in 1994-95. This year we have surpassed the ultra-luxury 40,000-ton level, carrying about 600 passengers. Today’s ultra-luxury ships are as big and powerful as Transatlantic liners of earlier times, and no longer the size of coastal ships. Last Monday Silversea Cruises signed a €310 million contract with Fincantieri for the construction of a new 40,700-ton ultra-luxury cruise ship, due to join Silversea in 2020. This follows the announcement some time ago now from Seabourn, advising that it was planning two ships of the Seabourn Encore class. The new Silversea ship, provisionally named Silver Moon, will be a sister ship of Silver Muse, delivered in April at Genoa’s Sestri Ponente shipyard. The new ship will maintain the same small-ship intimacy and spacious all-suite accommodations that mark the Silversea experience. 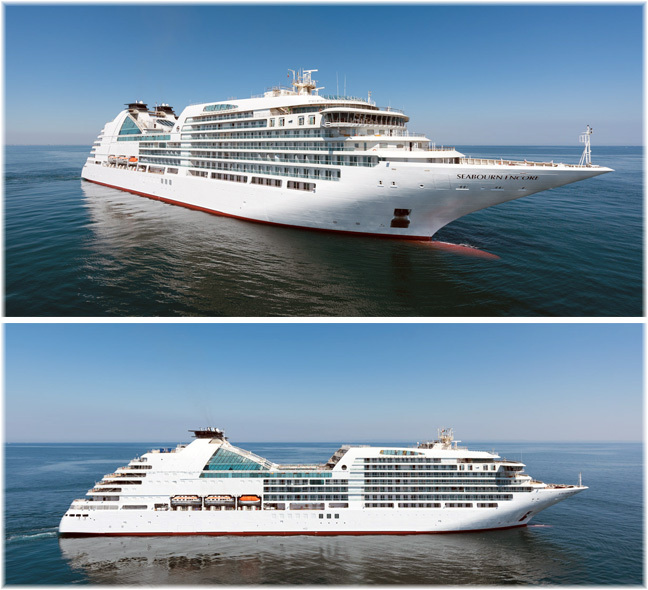 Just as Silver Muse followed the Seabourn Encore, which was christened in Singapore in January, so the Silver Moon will follow the Seabourn Ovation, which is due to enter service next year, but by two years. 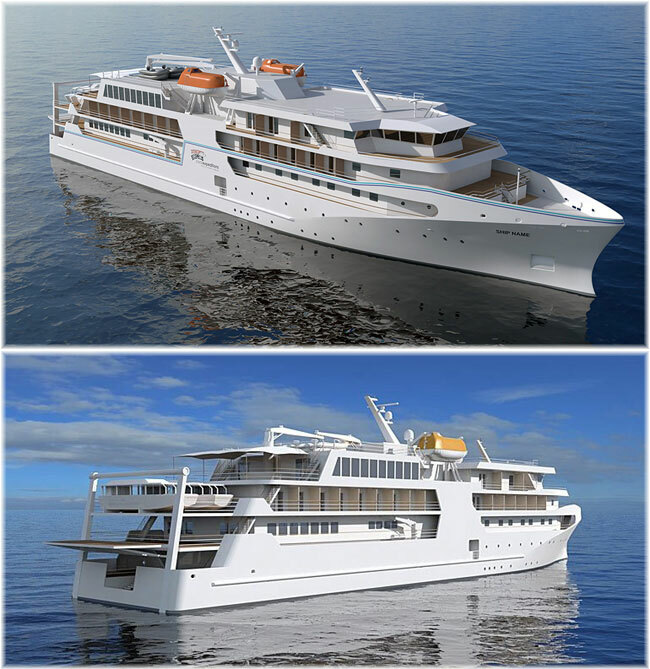 Vard last week announced a contract to design and built an expedition ship for Coral Expeditions of Cairns. Developed by Vard Design in Norway in close cooperation with its client, the vessel is specially designed for small ship expedition cruises to remote and exotic destinations in the Asia-Pacific regions. The vessel, of VARD 6 01 design, will have dimensions of 307 by 56 feet, and accommodate 120 passengers. 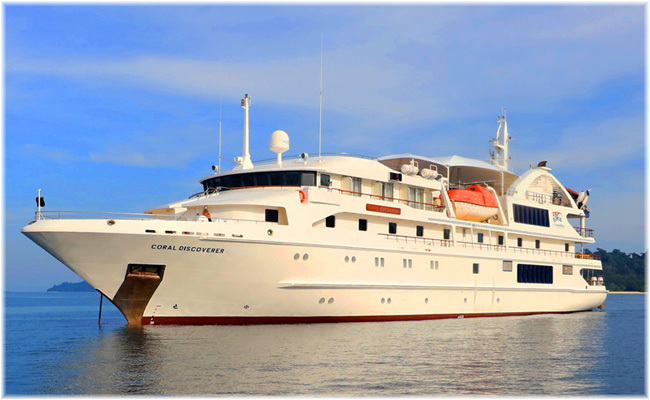 True to the Coral Expeditions concept, the ship is geared for daily shore expeditions, lectures and briefings, with high standards of comfort and care. Delivery is scheduled from Vard’s Vung Tau shipyard in Vietnam in early 2019. With a thirty-four year history of innovation, Coral Expeditions is recognized as Australia’s longest-established and most awarded expedition cruise operator. Starting with environmentally-sensitive cruises on the Great Barrier Reef, the fleet has grown to three Australian-flag ships that include two oceangoing catamarans, Coral Expeditions I and Coral Expeditions II, and the flagship 207-foot Coral Discoverer. 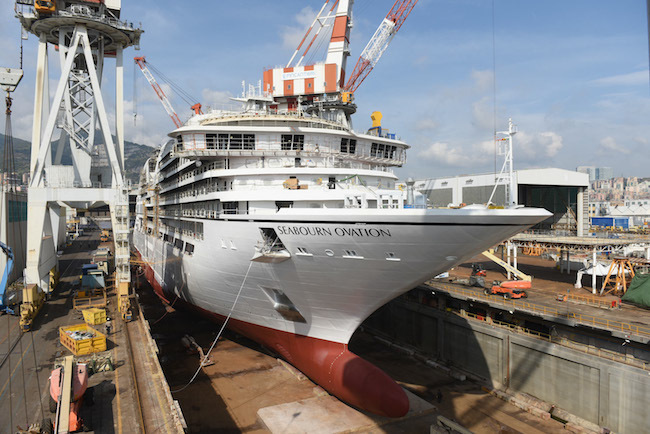 Vard is presently building four expedition ships for Ponant, two for Hapag-Lloyd Cruises and a seventh for an unidentified owner, making this their eighth such order. Also last week, CMA CGM released details of a new passenger service on APL container ships. A 119-day round voyage will be offered by three APL ships working on CMA CGM’s Columbus Jax route between Los Angeles and the North American east coast, both ways via Suez. Westbound, the route serves China, Vietnam, Singapore, Malaysia and Sri Lanka on the way to the North American east coast and eastbound, Malaysia, Singapore, Indonesia, Thailand and Vietnam on the way to California. Ports of call include Los Angeles, Oakland, Hong Kong (20 days), Yantian, Vung Tau, Singapore (25 days), Port Kelang, Colombo, the Suez Canal, Halifax, New York, Norfolk, Savannah, Suez again, Port Kelang, Singapore, Jakarta, Laem Chebang, Vung Tau and Los Angeles. Charleston to Singapore is 32 days and the full round trip 119 days. When it was known as American President Lines, APL ran both Transpacific and Round-the-World cargo-passenger services as well as Transpacific passenger liners. The line’s most important route was San Francisco to Honolulu (5 days), Yokohama (14 days), Hong Kong (18 days) and Manila (20 days), with the return voyage adding a call at Kobe. The round trip was 42 days. Since the passenger services were closed in the 1970s, the line has seen a couple of changes in ownership. 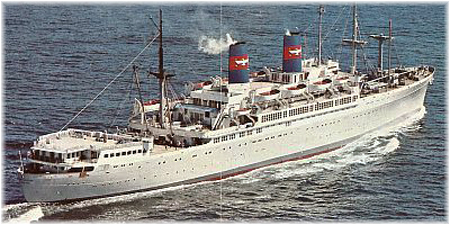 Neptune Orient Lines (NOL) was formed by the Singapore Government in December 1968. Three decades later, in 1997, it acquired and merged with APL, with NOL becoming the holding company and APL the group’s world-wide container brand. In 2009, APL moved its headquarters from Oakland to Singapore, where it is based now. The APL container fleet now numbers 84 ships and APL’s Global Gateway South terminal in Los Angeles moves 1.65 million TEU’s a year. In 2016, CMA CGM bought out Neptune Orient Lines and its APL operation, and is now busy adding APL ships to its rosters. Two APL ships, the 4-passenger APL Columbus and APL Phoenix, now offer two Owners cabins each on the Columbus Jax route, while a third ship on the same route, the 10-passenger APL Danube, with five double cabins, is the former CMA CGM Danube. Another APL ship, the APL Gwangyang, has moved to the Mediterranean Club Express service between Asia and Europe. 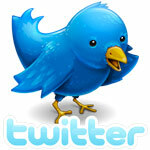 No doubt more will follow.